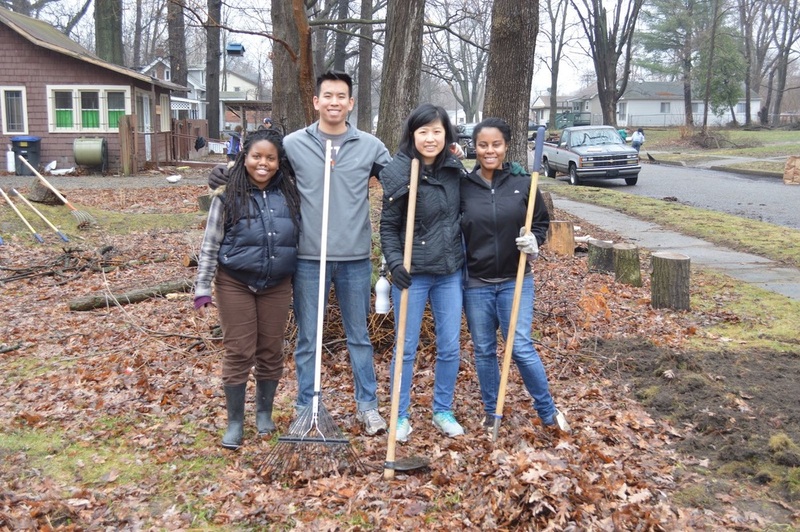 Students from John Hopkins University and Harvest Mission Community Church Ann Arbor & Austin, TX joined us on March 14th for a day of service during their alternative spring breaks. 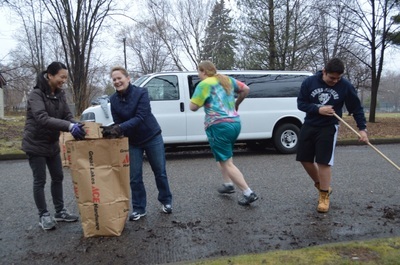 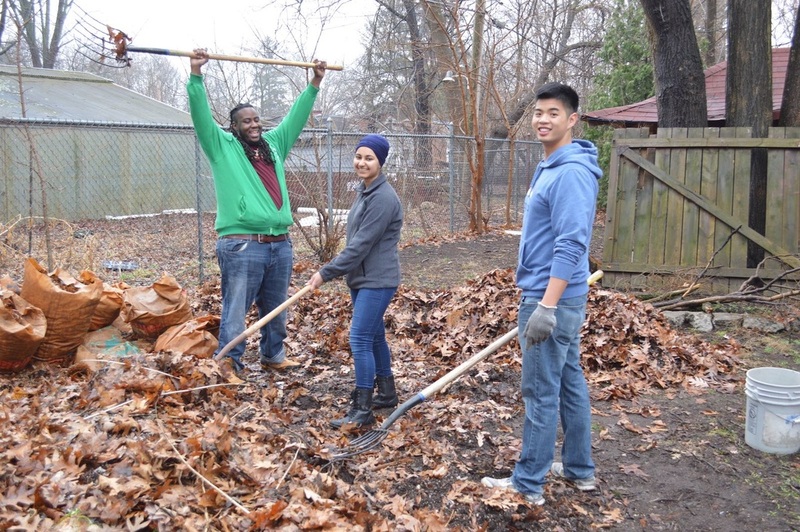 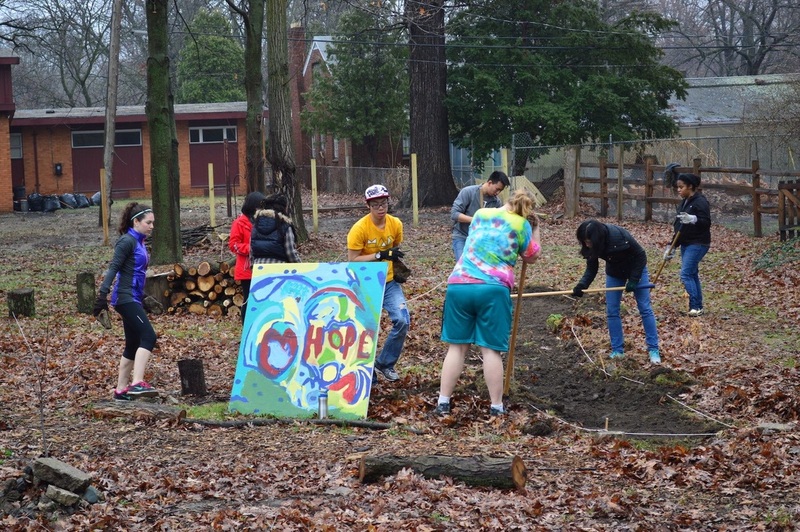 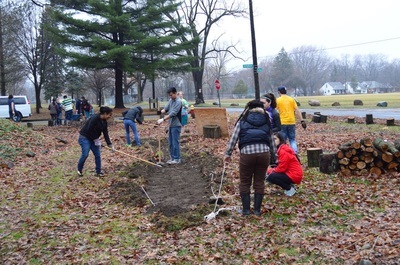 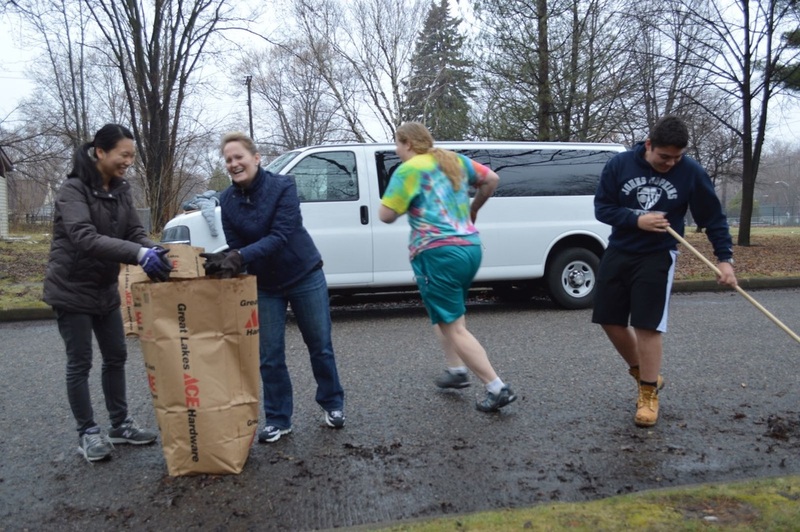 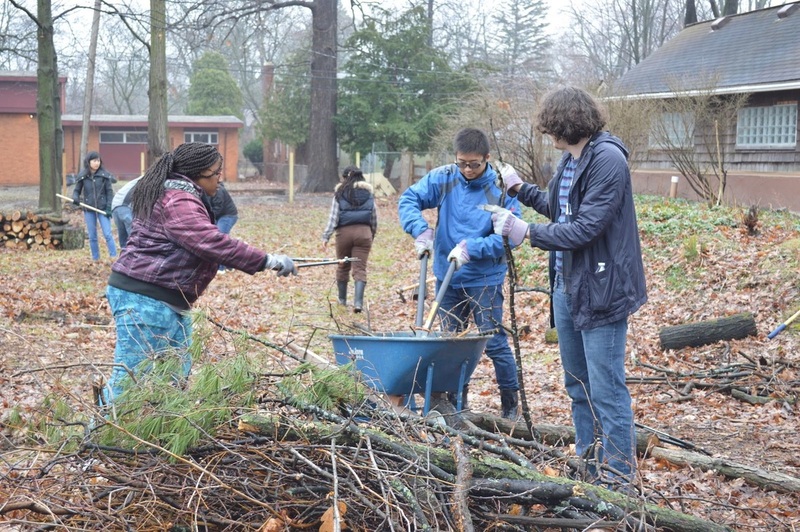 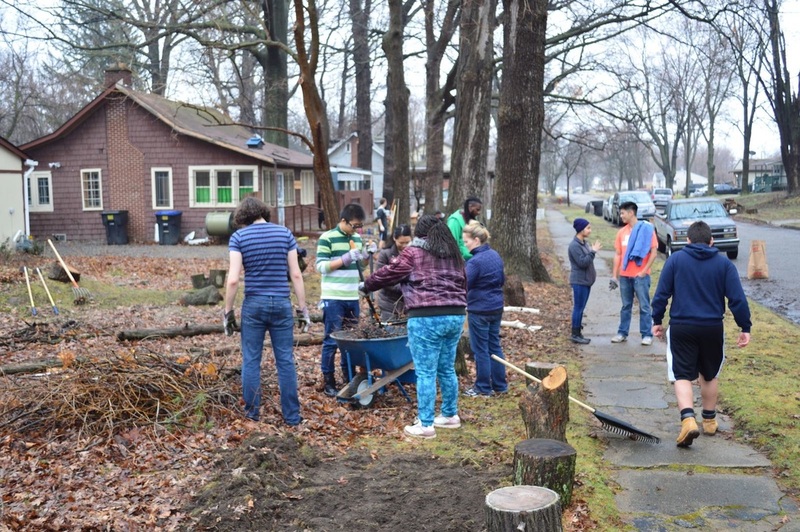 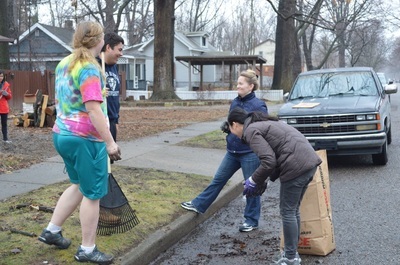 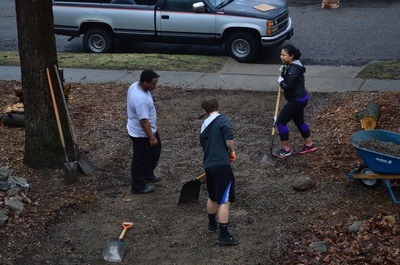 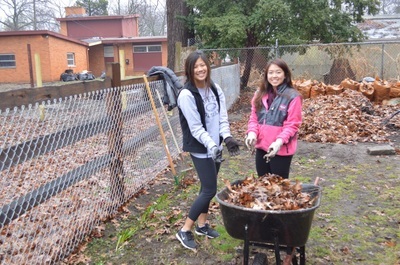 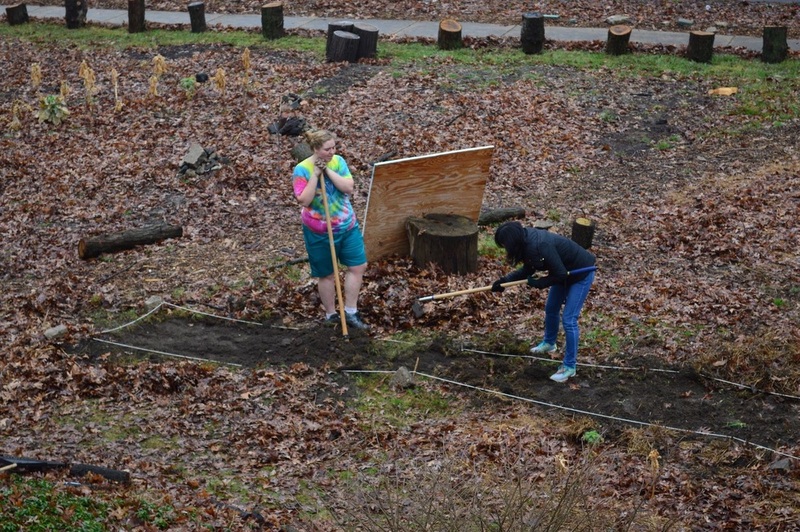 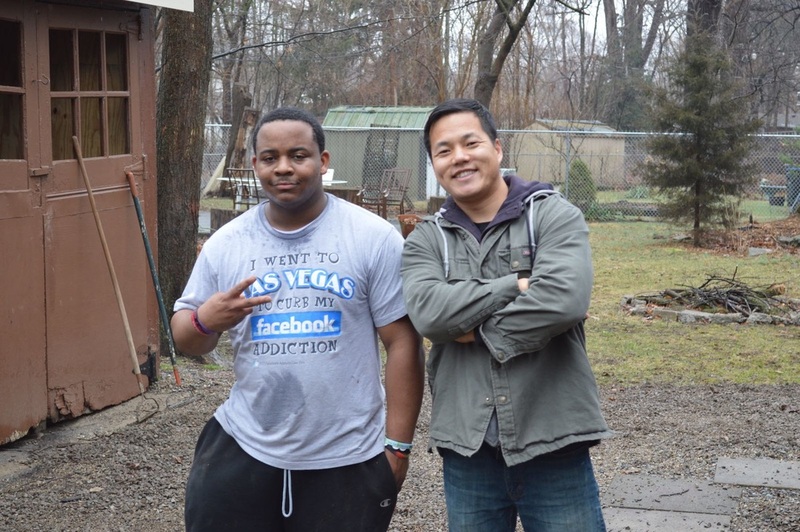 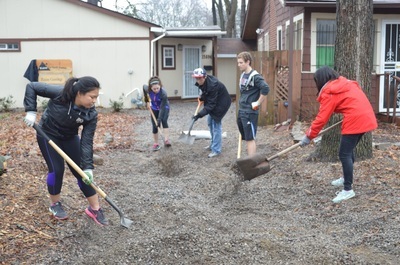 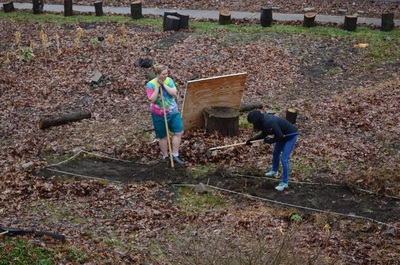 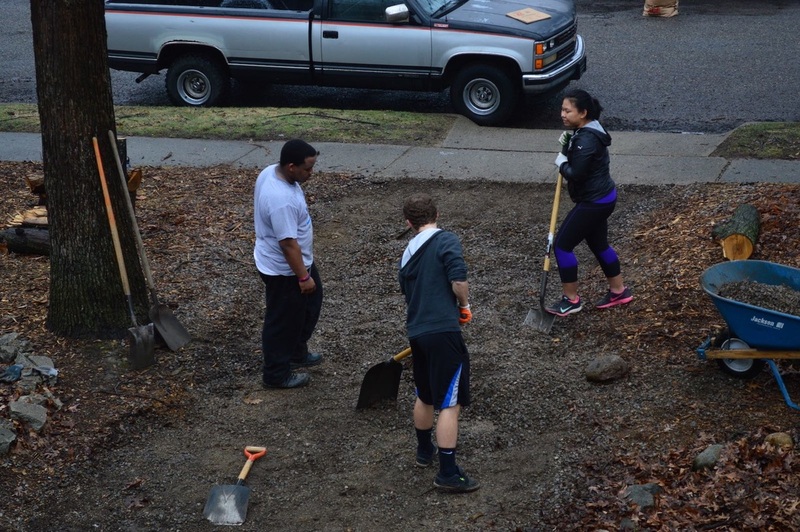 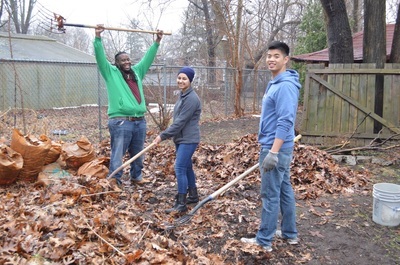 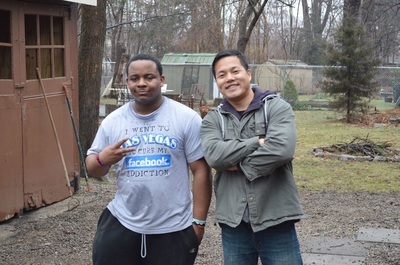 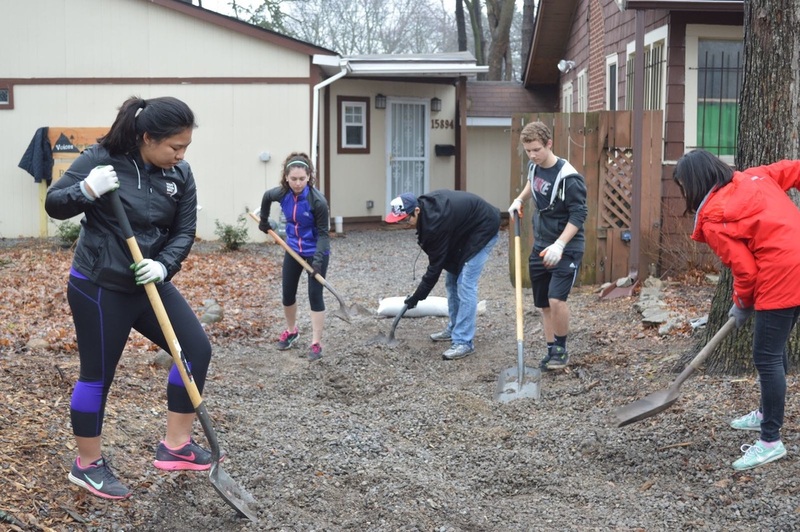 The 24 volunteers helped kick start Hope House's gardening and outdoor season, contributing their energy to cleaning the street, turning the compost, tilling soil for new plant beds, and cleaning up the outdoor space. 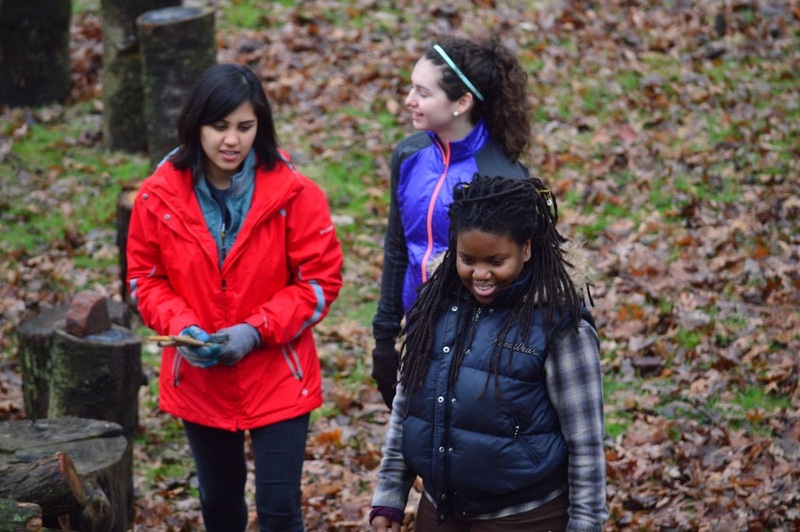 The day started with a tour of the property, explanation of VEJ, and a warm-up to get to know one another and loosen up our bodies. 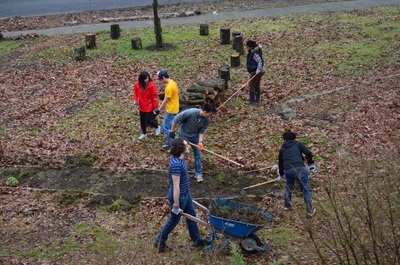 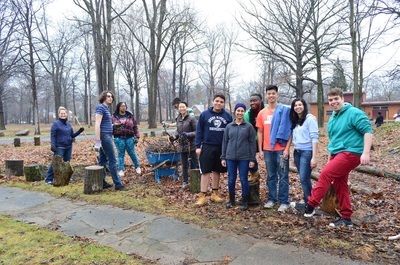 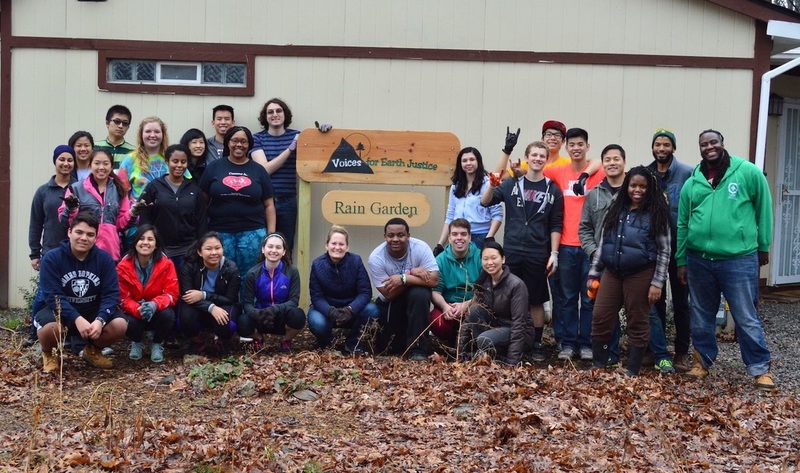 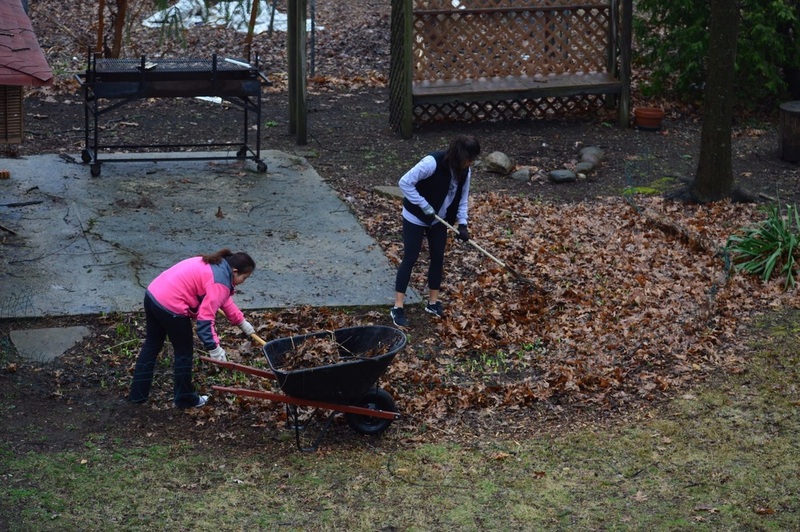 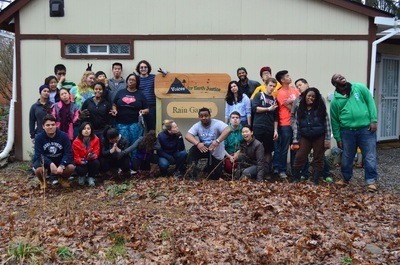 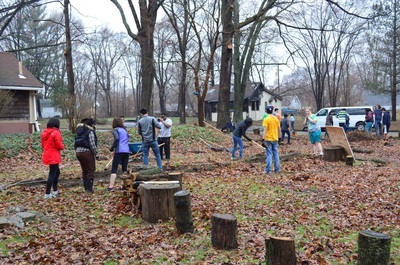 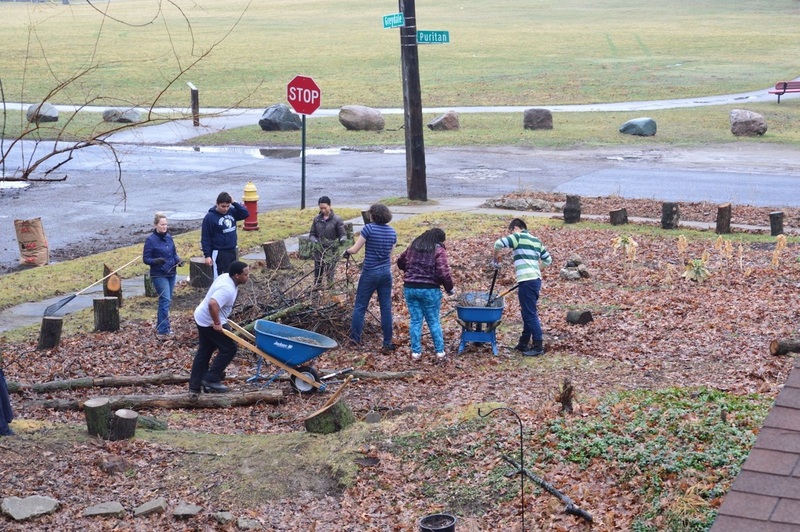 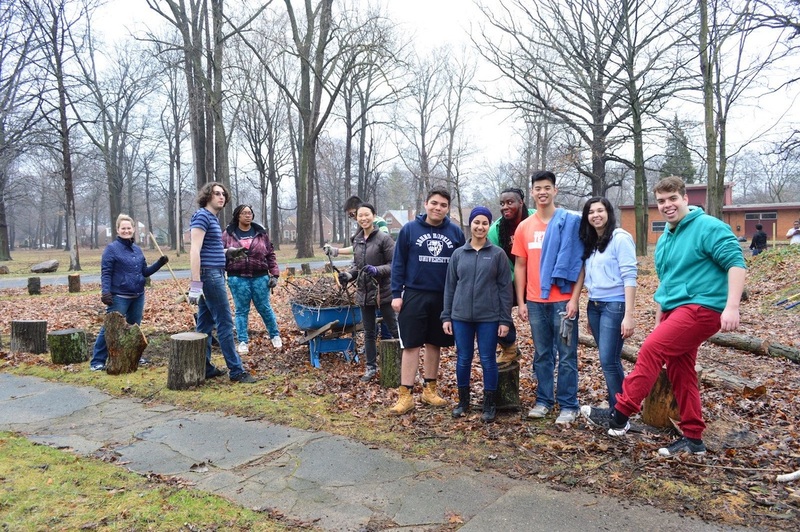 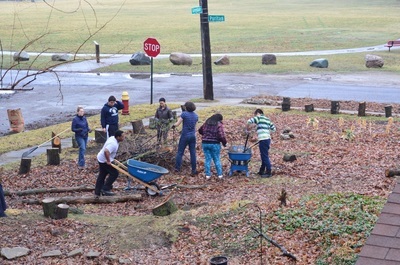 We look forward to hosting volunteers throughout the Spring, Summer, and Fall!